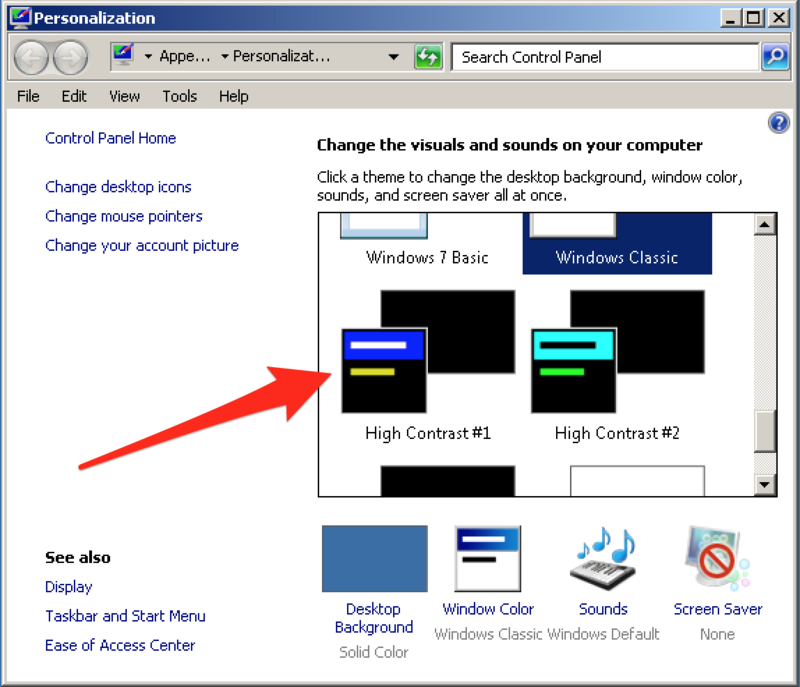 Windows high contrast mode (Win HCM) changes the colours on the screen to a specific high contrast scheme. 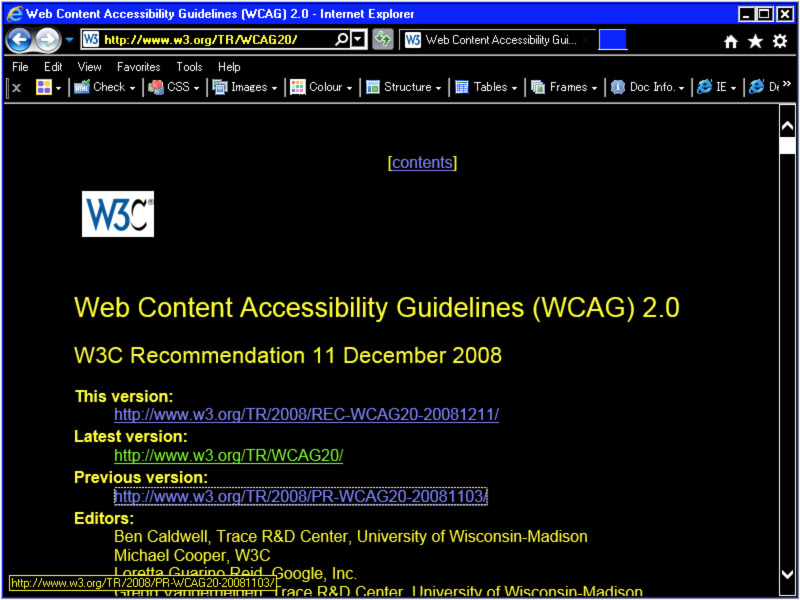 It is used by visually impaired people. It is a useful tool to ensure that visual information is not conveyed with purely decorative styles. HCM is a built-in feature of the Windows operating systems and does not need to be installed separately. You can toggle HCM using the keyboard shortcut Alt + Shift + PrtScn. Alternatively, you can manually go to Control Panel → Change the theme and select one of the "High Contrast" themes. Now take a look at your website in Internet Explorer or Firefox (restart required) and ensure that all visual information is still perceivable. For example, when the currently active link in a navigation is marked using a symbol, this symbol still needs to be displayed in HCM. Also, the keyboard focus always needs to be clearly perceivable.